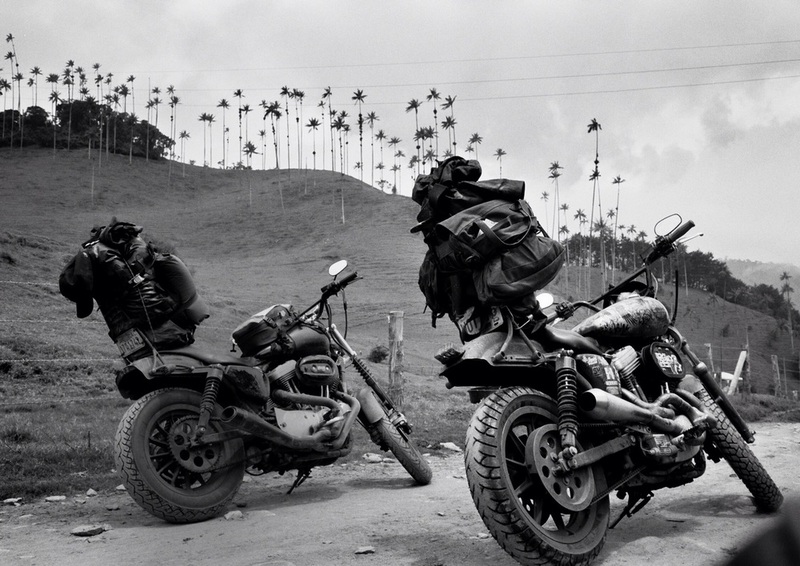 Less than a month out until me and Nik saddle up on our iron steeds in Colombia again. A little over one year ago, five of us set out to tackle the Panamerican highway from Vancouver BC to Nicaragua on Harley Davidson Dirtsters. Vancouver to Patagonia. After many unthought out mechanical problems, dinner with the Cartel, and losing one of our men to a Honduran prison, we almost gave up. This time, three of us returned in April for a push from Nicaragua to Panama and then a ferry to Cartagena, Colombia. The gateway of South America . After countless flats, a destroyed engine, and two friends almost getting in a fist fight, we almost gave up. Nik turned to me in bogota, and by the look on his face I was pretty sure he was ready to throw in the towel on this aimless adventure. "It started with us. And it looks like it's gonna end with us." And then there were two. 'Nowhere is a place' said Thoreau. And that's usually the destination on these pilgrimages. It's always a story about a traveller, or two, in our case, who leaves home and goes to a far away country in search of a legendary beast. Not quite sure what the beast is in our case. But I have a feeling that this restlessness is a key. The anatomy of restlessness is what my fascination is. The nomadic instinct I will call it. And the need of constant movement. Early wayfarers were in tune with the ancient more primal rhythms of the earth. And somewhere along the bloodline we've disconnected from it. Causing new beasts and monsters such as depression, cancer, and all sorts of mental illness. These early wanderers saw the land in lines. Which were passage ways through life. To move in the landscape was survival. To stay in the same place, suicide.